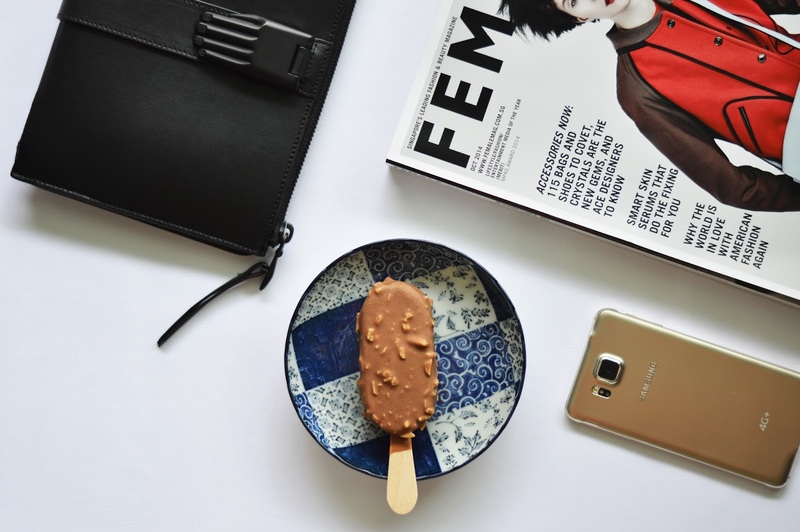 my recent stash of indulgence featuring opening ceremony mini paloma tech clutch from shopbop, female magazine, samsung alpha 4G+ in frosted gold and mini almond courtesy of magnum singapore! p/s. share with us your favourite indulgent moment and tag @magnumsg #pleasurewhenever and you could be one of the 10 winners of a magnum mini pleasure kit. good luck!